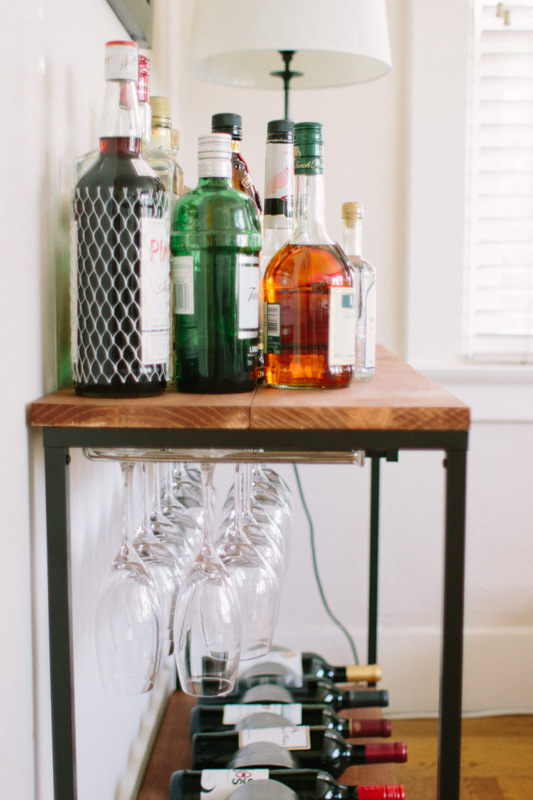 While I haven’t done a ton of Ikea hacks, I absolutely LOVE the idea of customizing inexpensive furniture so we’ll consider a few smart ones I spied. One of my favorite unfussy, durable, stylish, and affordable collections from Ikea is their Vittsjo series. 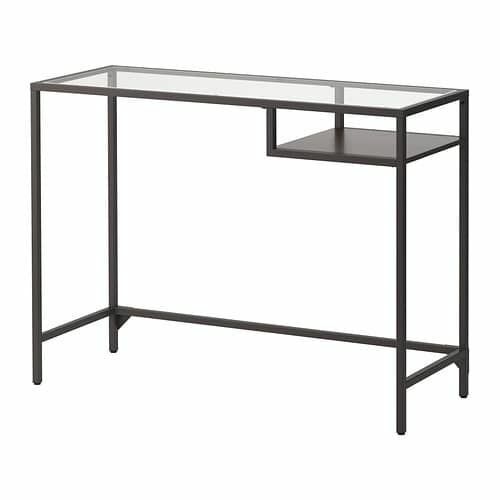 The metal and tempered glass Ikea Vittsjo series includes shelf units, laptop tables, coffee tables, laptop stands, TV unit, and nesting tables. 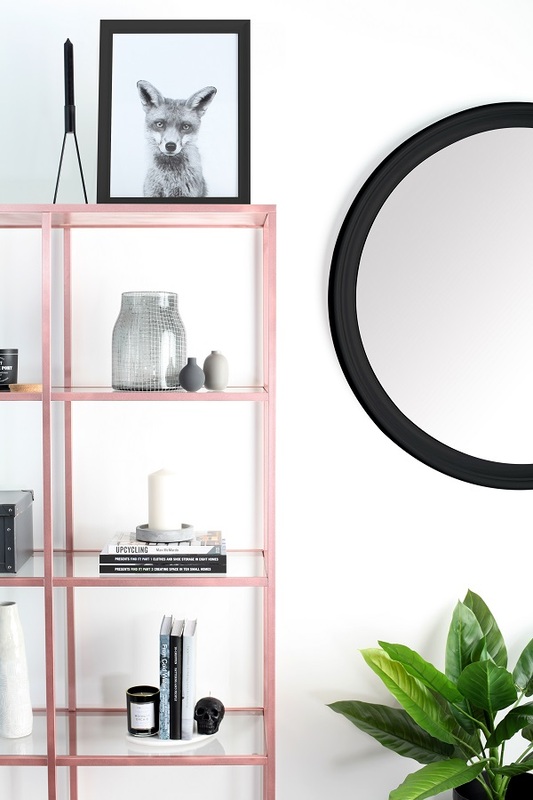 Vittsjo pieces are awesome on their own, yet plenty of folks choose to transform them DIY style. 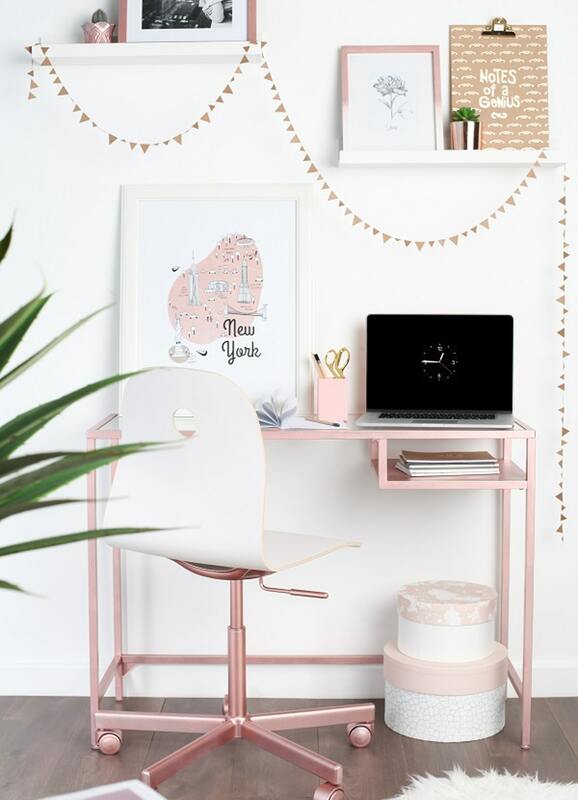 11 Super Simple Ikea Hacks for Vittsjo Desk & Shelf celebrates a few favorite Vittsjo hacks from genius DIYers around the web! Hello Lovely Studio. Desk:Ikea Vittsjo Laptop Table, $39.99. 11 Super Simple Ikea Hacks for Vittsjo Desk & Shelf…certainly lovely indeed! Easy DIY inspiration for Ikea Vittsjo laptop table and shelving unit as well as styling ideas and shopping sources. Artificial potted plant: HERE. 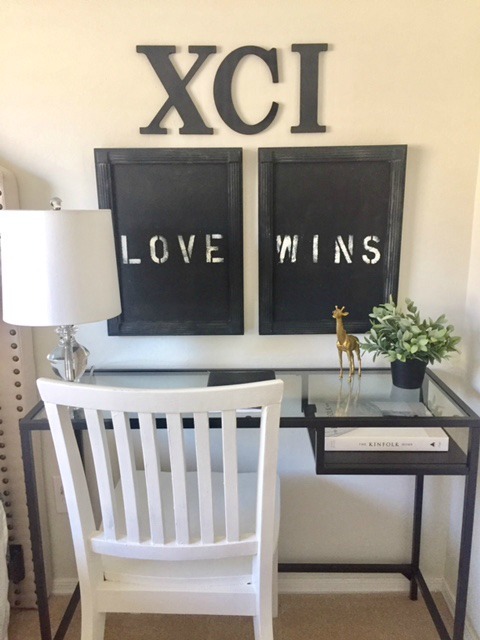 Before we consider inspiration around the web for the Ikea hacks, here is how I used Vittsjo pieces without any hacks or effort at all within the Arizona house. BTW, did you know you can buy Ikea items on Amazon? Yep. Not everyone lives near an Ikea store so find Vittsjo on Amazon RIGHT HERE. Hello Lovely Studio. 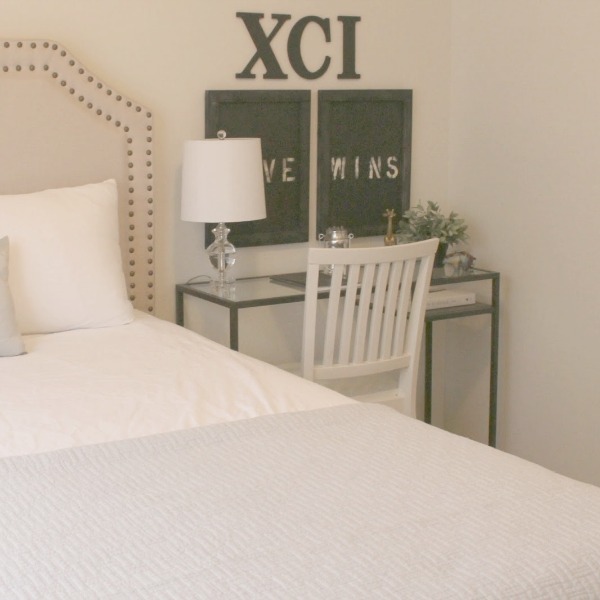 Find a linen upholstered headboard with nailhead trim RIGHT HERE. The beauty of these Vittsjo pieces is how they can stand alone as well as be combined. For example, one or two shelf units joined by a laptop table becomes a formidable entertainment system unit. How affordable is Vittsjo? Well, the Vittsjo laptop table (why is this not called a desk!?!) I used in two guest bedrooms at our vacation getaway is $39.99! 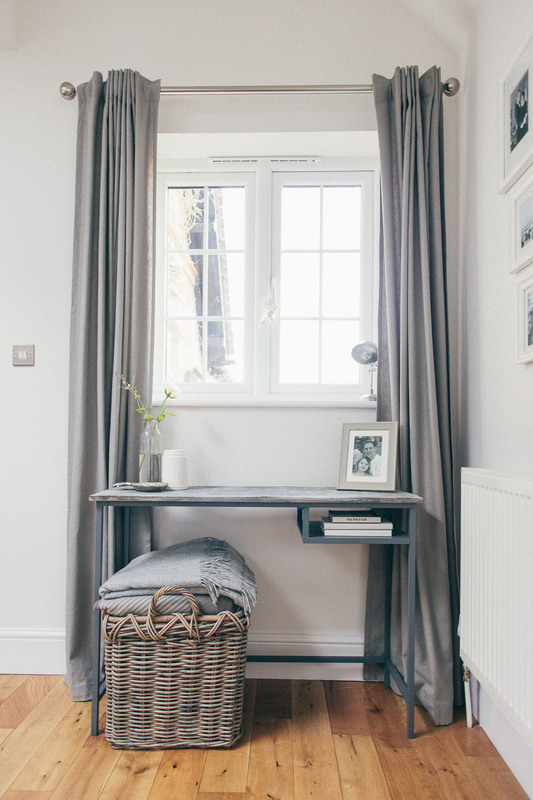 Guest bedroom by Hello Lovely Studio. Desk:Ikea Vittsjo Laptop Table, $39.99. 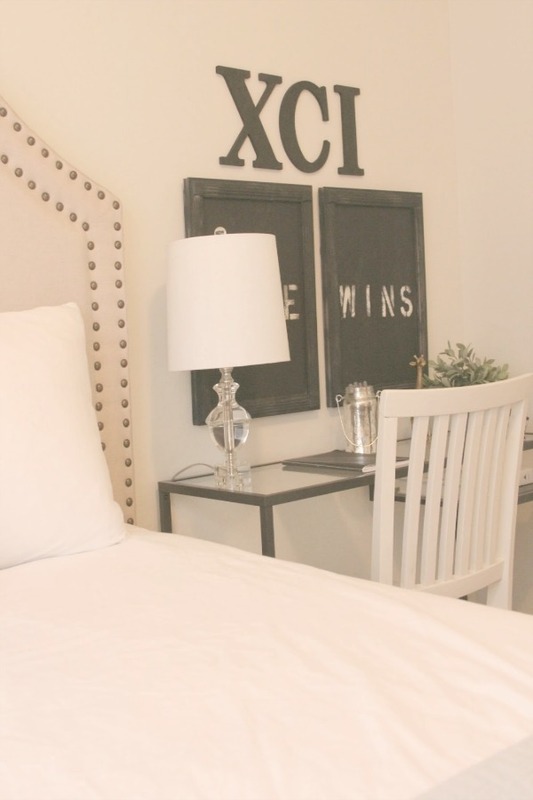 Find a linen upholstered headboard with nailhead trim RIGHT HERE. 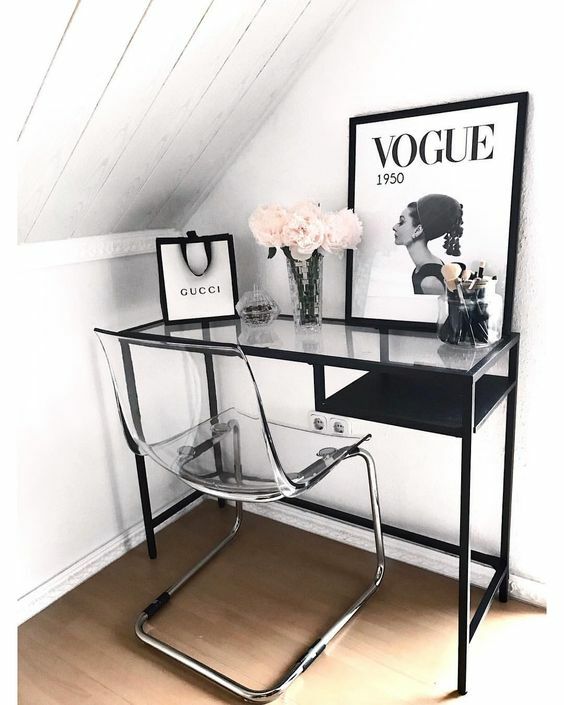 11 Super Simple Ikea Hacks for Vittsjo Desk & Shelf…certainly lovely indeed! 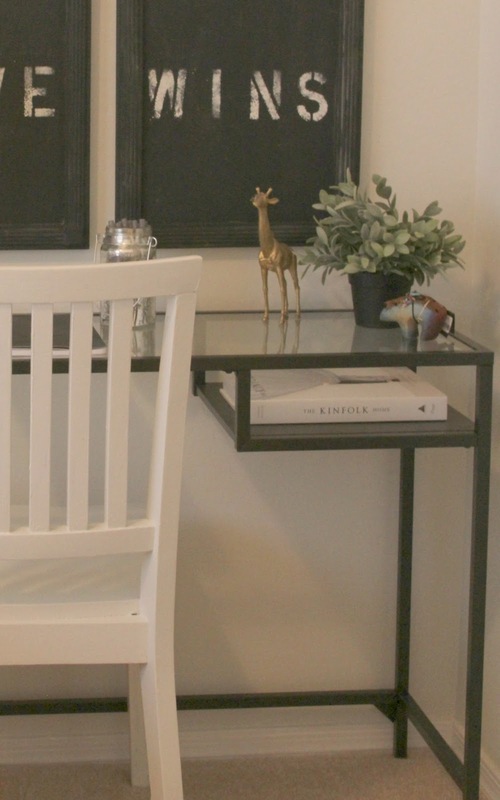 Easy DIY inspiration for Ikea Vittsjo laptop table and shelving unit as well as styling ideas and shopping sources. Both guest bedrooms were on the small side, so the 39″ x 14″ Vittsjo laptop table worked well as a bedside table in one of them as well as a desk/vanity in another. 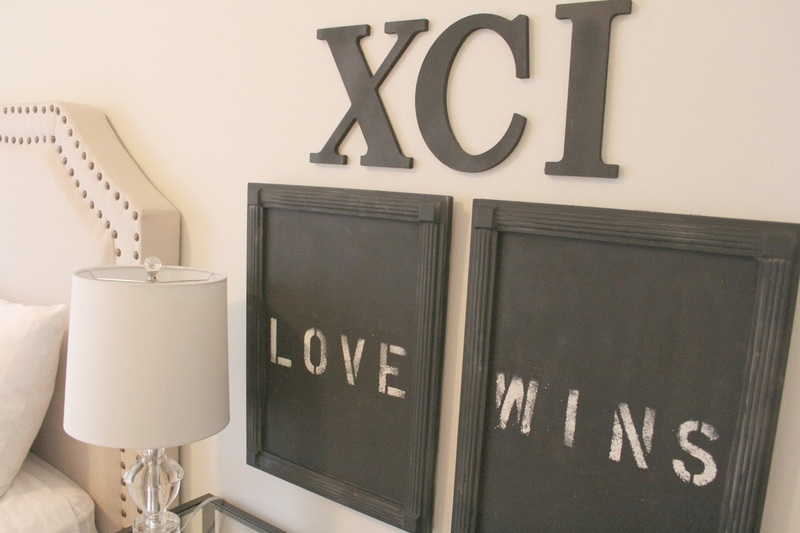 The roman numerals are a DIY project, and they relate to our sons’ birth years. You need not store a laptop on the Vittsjo laptop table! Have fun deciding what to display! Thrift store finds in a bedroom by Hello Lovely Studio. Desk:Ikea Vittsjo Laptop Table, $39.99. 11 Super Simple Ikea Hacks for Vittsjo Desk & Shelf…certainly lovely indeed! Easy DIY inspiration for Ikea Vittsjo laptop table and shelving unit as well as styling ideas and shopping sources. Artificial potted plant: HERE. I decorated this second house of ours on a shoestring budget (gold spray-painted 50cent plastic giraffe, anyone?). The Swedish style vintage chair I paired with the Vittsjo desk (in black/brown) was a $3 wobbly find at Goodwill. I tightened the screws underneath and slapped on a coat of paint. Hello Lovely Studio. Desk:Ikea Vittsjo Laptop Table, $39.99. 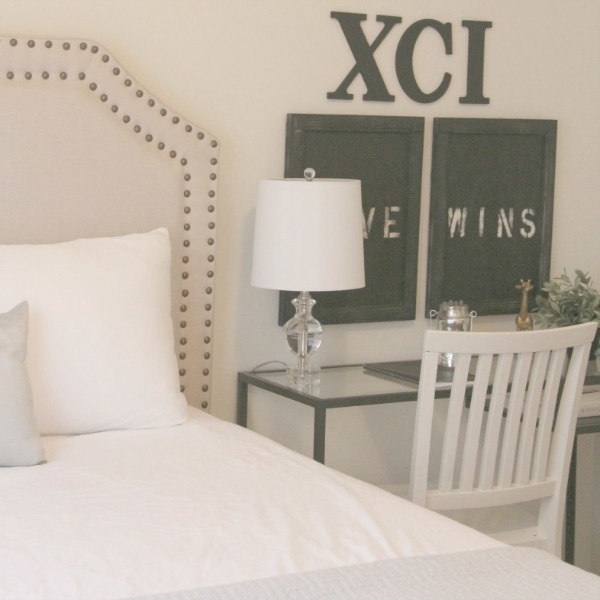 Find a linen upholstered headboard with nailhead trim RIGHT HERE. 11 Super Simple Ikea Hacks for Vittsjo Desk & Shelf…certainly lovely indeed! Easy DIY inspiration for Ikea Vittsjo laptop table and shelving unit as well as styling ideas and shopping sources. 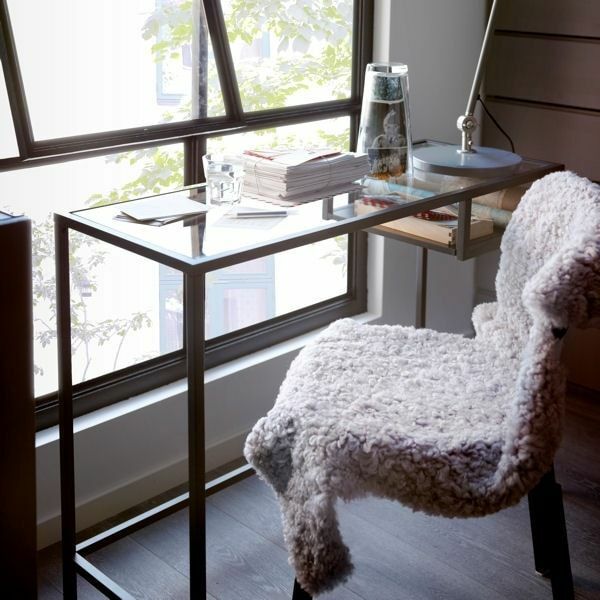 Below is a Vittsjo laptop table in another serene, with black and white guest room at the Arizona house. The Marius stool is also an Ikea find, and the vintage marble based lamp is an original Midcentury modern piece I found locally. The mercury glass jars are Pottery Barn. Black and white bedroom by Hello Lovely Studio. Desk:Ikea Vittsjo Laptop Table, $39.99. 11 Super Simple Ikea Hacks for Vittsjo Desk & Shelf…certainly lovely indeed! Art on wall: Hello Lovely Studio. 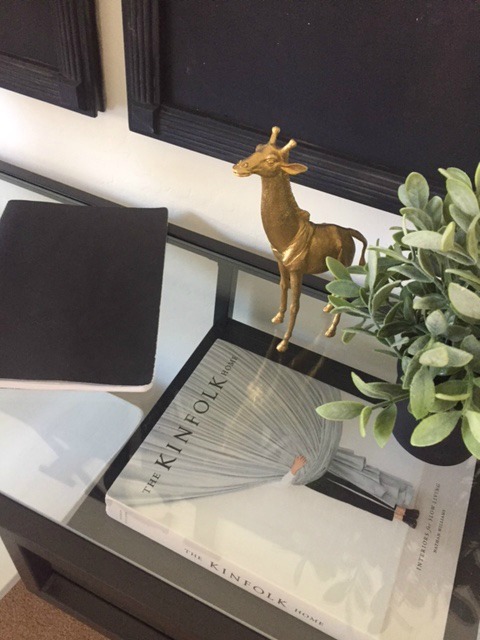 Easy DIY inspiration for Ikea Vittsjo laptop table and shelving unit as well as styling ideas and shopping sources. Artificial potted plant: HERE. When space is at a premium, the shallow Vittsjo pieces truly come to the rescue since they are so multi-functional. 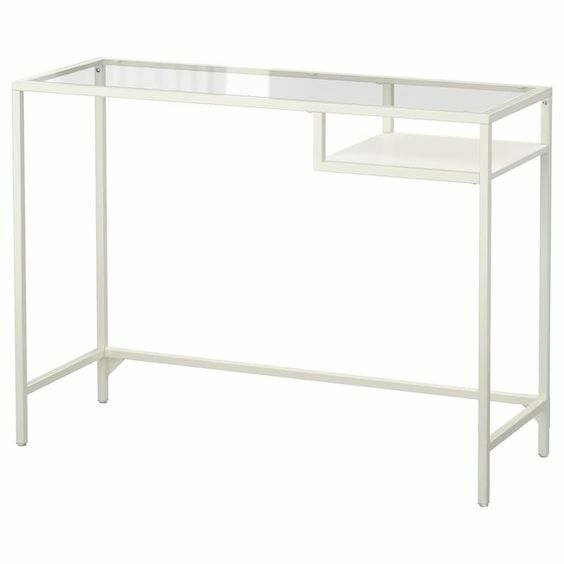 I swear we’re going to get to those Vittsjo hacks, but I have to show off another one of my favorite Ikea pieces I turn to again and again. Hello Lovely Studio. Desk:Ikea Vittsjo Laptop Table, $39.99. 11 Super Simple Ikea Hacks for Vittsjo Desk & Shelf…certainly lovely indeed! Easy DIY inspiration for Ikea Vittsjo laptop table and shelving unit as well as styling ideas and shopping sources. Ikea Mongstad Mirror. Artificial potted plant: HERE. 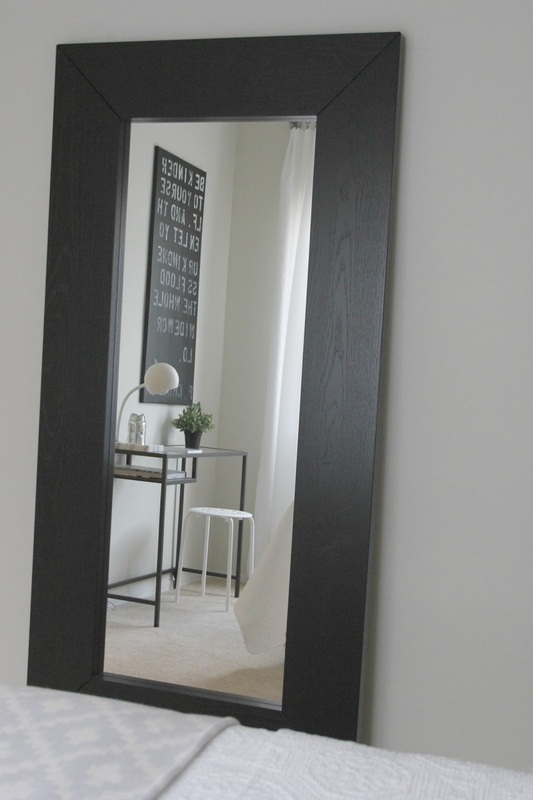 I bought this Ikea Mongstad Mirror for bedrooms at the Arizona house as well as a guest bedroom here in Chicagoland. I keep toying with the idea of hacking it by covering the dark frame with something light and ethereal. Stay tuned. Back to Vittsjo. My favorite Vittsjo piece is obviously the laptop table, and I’ll be showing you a few of my favorite hacks to it. But there’s another Vittsjo piece I admire as well. Hello Lovely Studio. Desk :Ikea Vittsjo Laptop Table, $39.99. 11 Super Simple Ikea Hacks for Vittsjo Desk & Shelf…certainly lovely indeed! Easy DIY inspiration for Ikea Vittsjo laptop table and shelving unit as well as styling ideas and shopping sources. Artificial potted plant: HERE. 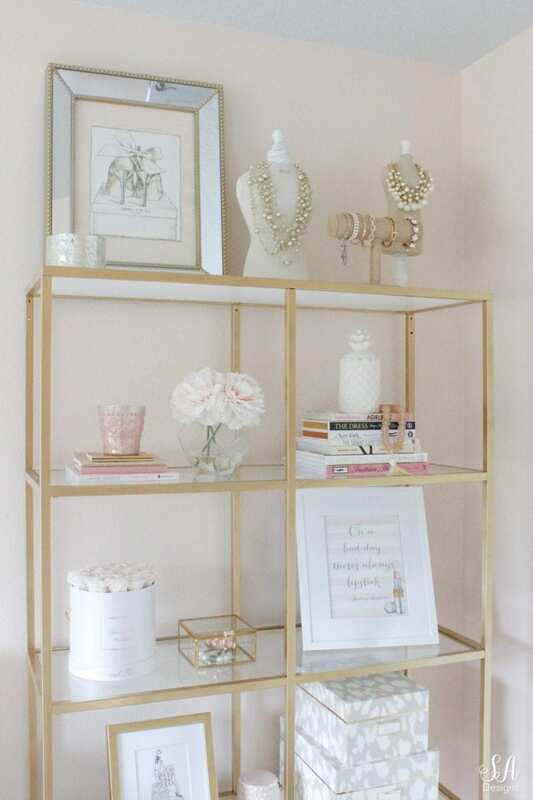 But let’s say you want a less austere metal etagere in your space? Vittsjo is super easy to work with…let’s peek at some fabulous hacks! 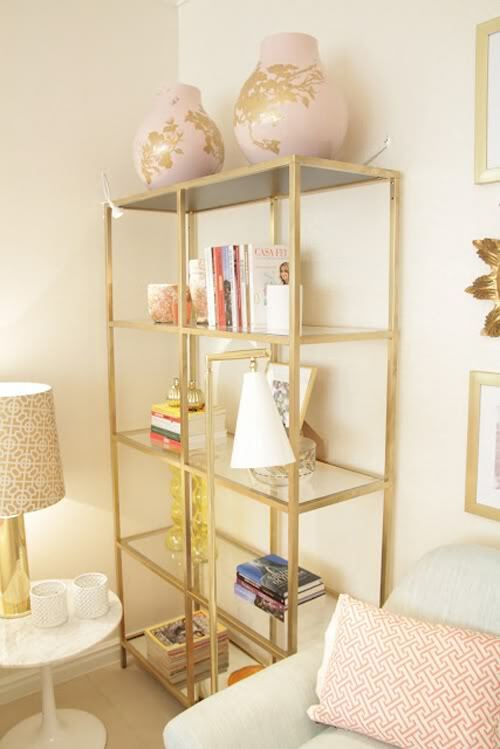 Your favorite gold spray paint and a little carrara marble contact paper can work wonders on a Vittsjo shelf unit! 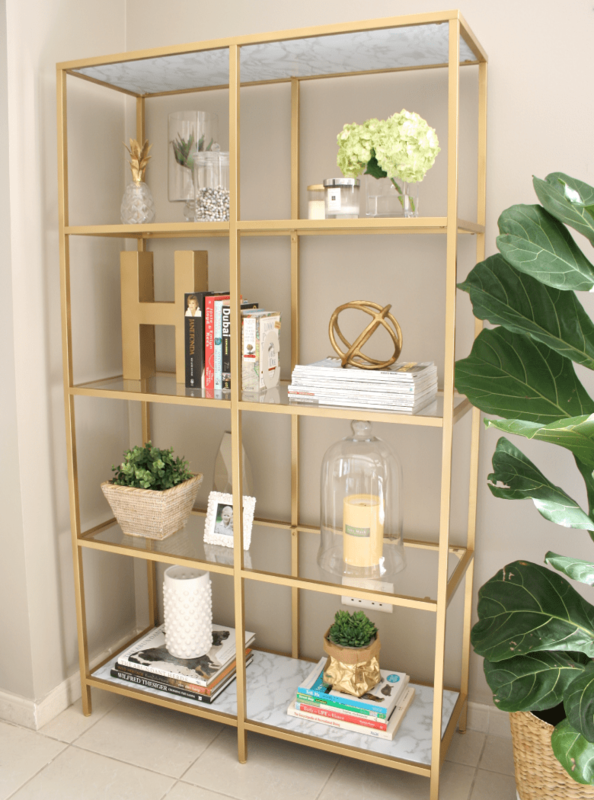 Find the DIY Ikea hack how to and details at Summer Adams. 11 Super Simple Ikea Hacks for Vittsjo Shelf & Desk…certainly lovely indeed! Easy DIY inspiration for Ikea Vittsjo laptop table and shelving unit as well as styling ideas and shopping sources. ﻿11 Super Simple Ikea Hacks for Vittsjo Shelf & Desk…certainly lovely indeed! Easy DIY inspiration for Ikea Vittsjo laptop table and shelving unit as well as styling ideas and shopping sources. 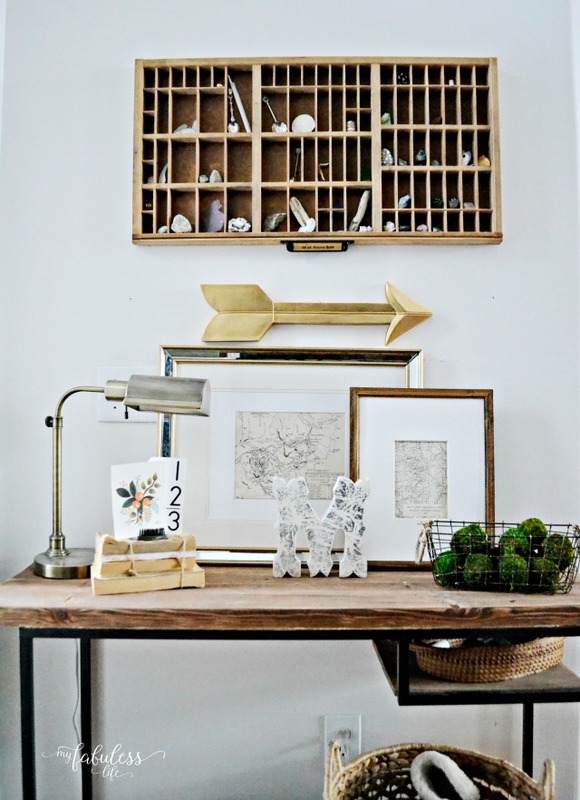 Find the DIY Ikea hack how-to and details at Juniper Home. Another pretty hack with marble adhesive paper! Find the DIY Ikea hack how to and details at House of Hawkes. 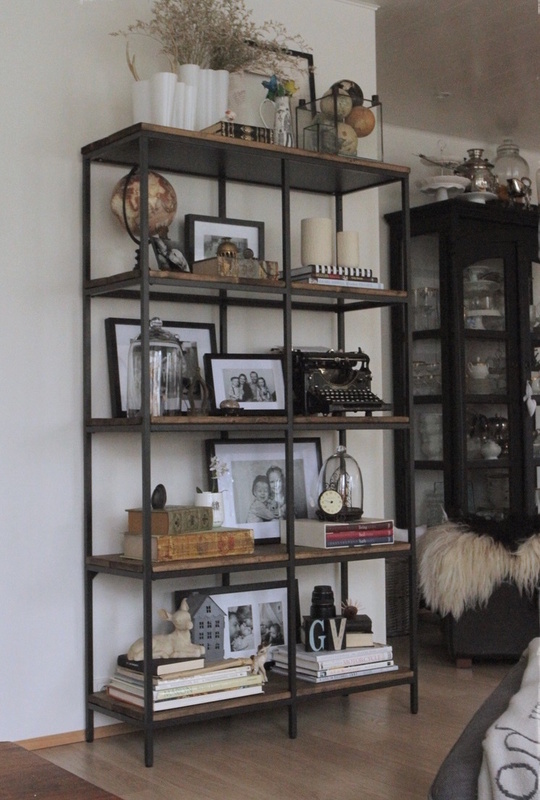 Look what happens when you add rustic planks of wood to Vittsjo shelves! Find the DIY Ikea hack how to and details at Ikeahackers. Is your mind flooding with ideas yet for how you might customize a Vittsjo shelving unit? Find the DIY Ikea hack how to and instructions at Heart Home Mag. Did I mention Vittsjo comes in a white colorway? Woohoo! Yep it does! So if you all-white decor fans thought you’d have to bust out the paintbrush to hack the black/brown finish…shazam. Photo & Design: Home Via Laura. 11 Super Simple Ikea Hacks for Vittsjo Desk & Shelf…certainly lovely indeed! Easy DIY inspiration for Ikea Vittsjo laptop table and shelving unit as well as styling ideas and shopping sources. Find the DIY Ikea Hack instructions at Heart Home Mag. Is this my favorite Vittsjo laptop table hack? It just may be! I love the idea of trying this hack! Find the DIY Ikea hack instructions at Rock My Style. 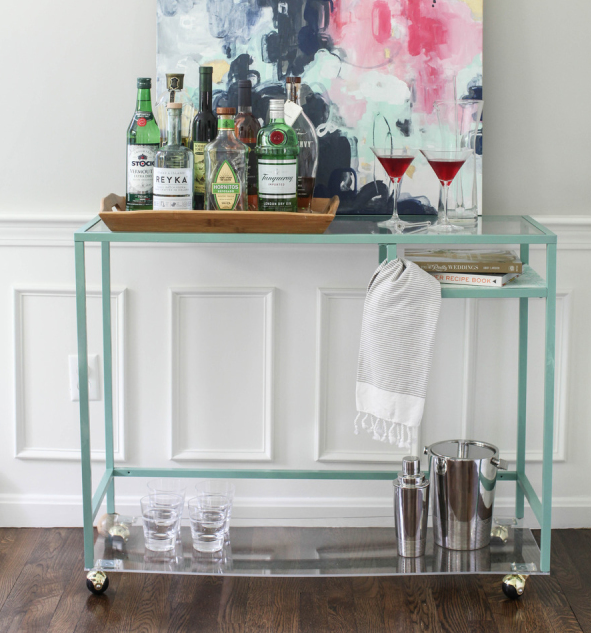 Laptop tables are not just for bedrooms or living rooms…look at how it can become command central in an entry. Find the DIY Ikea hack instructions at My Fabuless Life. 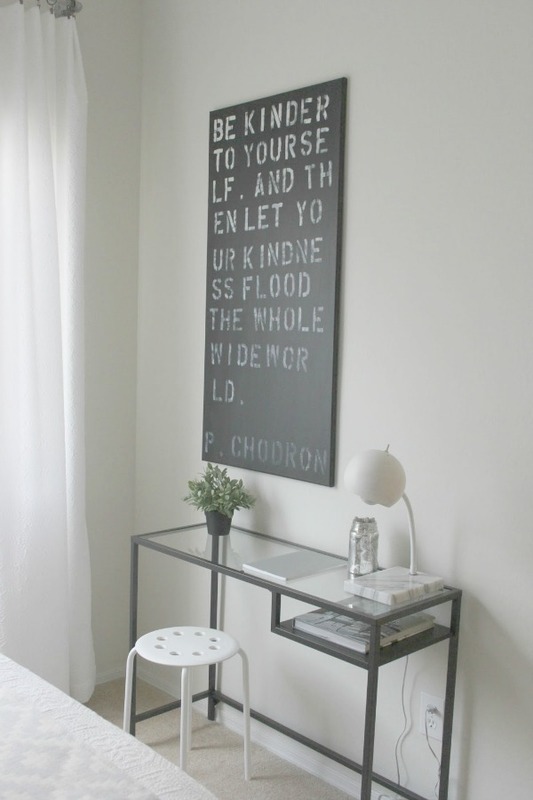 Find the DIY Ikea hack details at Style Me Pretty. ﻿11 Super Simple Ikea Hacks for Vittsjo Desk & Shelf…certainly lovely indeed! Easy DIY inspiration for Ikea Vittsjo laptop table and shelving unit as well as styling ideas and shopping sources. How about adding wine glass storage underneath Vittsjo’s top? 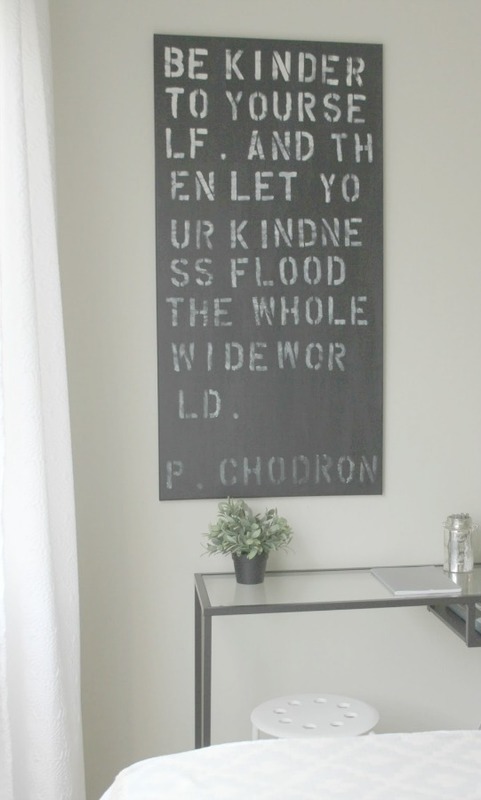 Find the DIY Ikea hack instructions and details at Lifestyle 365. Love the chair? Find Ikea’s Tobias chair HERE. Find sheepskin options at Ikea RIGHT HERE. 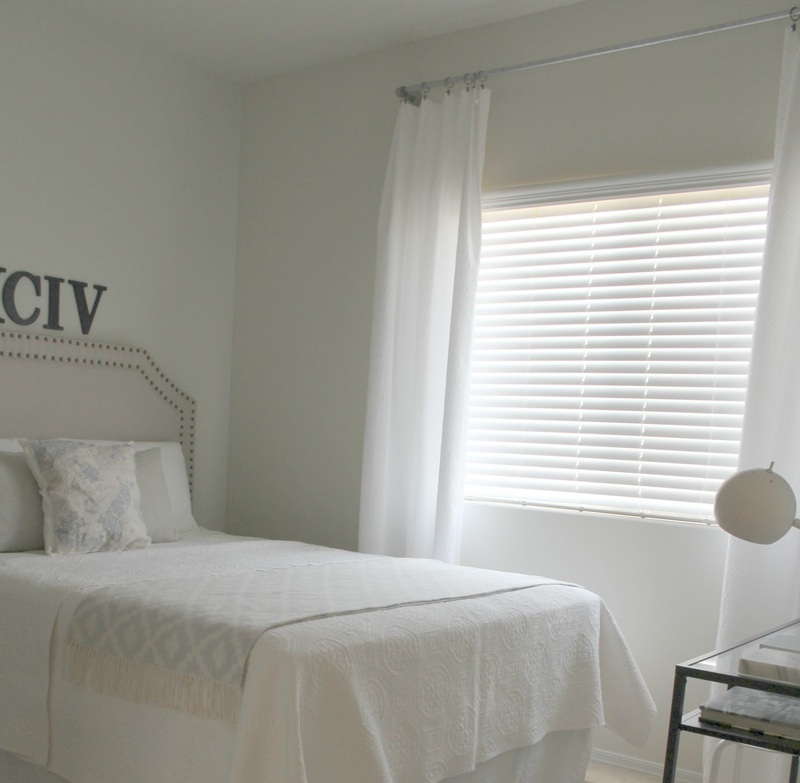 Check Out This Bedroom With Ikea Hacks! 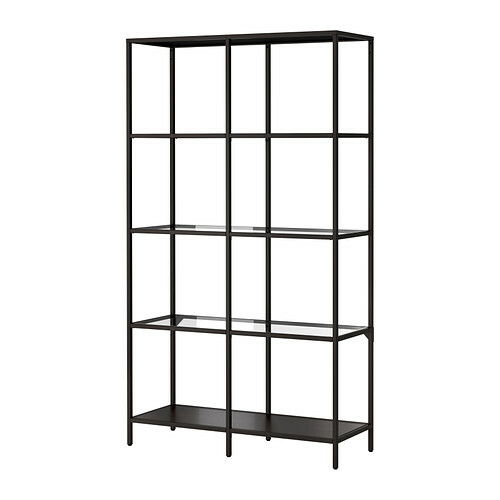 You’ll also find Ikea Vittsjo pieces on Amazon RIGHT HERE. Click HERE to Pin this post to save it for future reference! I LOVED all the tips about the Ikea hacks! I had no idea they had such style without looking cheap. I loved how you used the Ikea products in your houses. Yay! 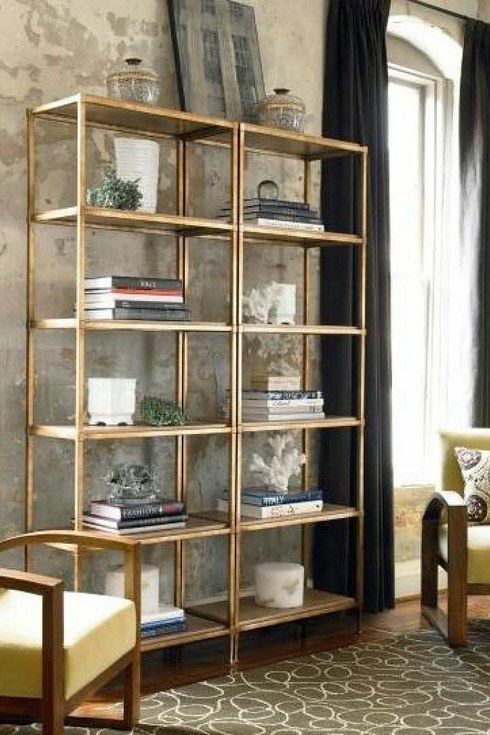 You really can incorporate certain Ikea pieces into the mix and still keep it looking high end! Thank you for the kind words.